We know that many of you have resolved to keep better records for 2015, and so we wanted to show you our favorite receipt tracking tools. It's amazing what you can do on the go with your smartphone to make sure everything is accounted for. 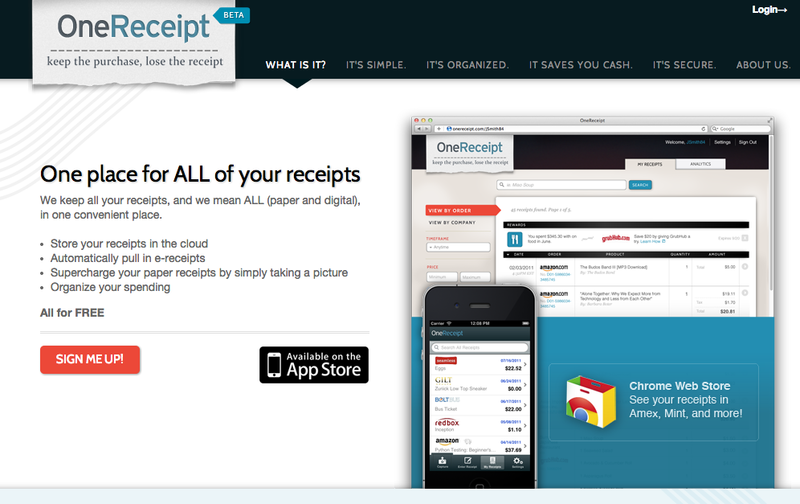 Many of these apps allow you to store pictures of receipts, categorize them, and create expense reports for you. As virtual accountants, we spend a lot of time focused on the tools of the trade that make accounting more efficient and organized. Given today's technology, there are a ton of great options for making your life easier to manage as a business owner. 01. 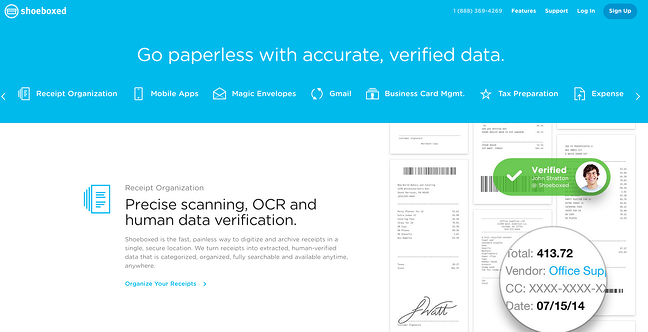 Shoeboxed : "Go Paperless With Accurate, Verified Data"
Shoeboxed is actually pretty amazing. 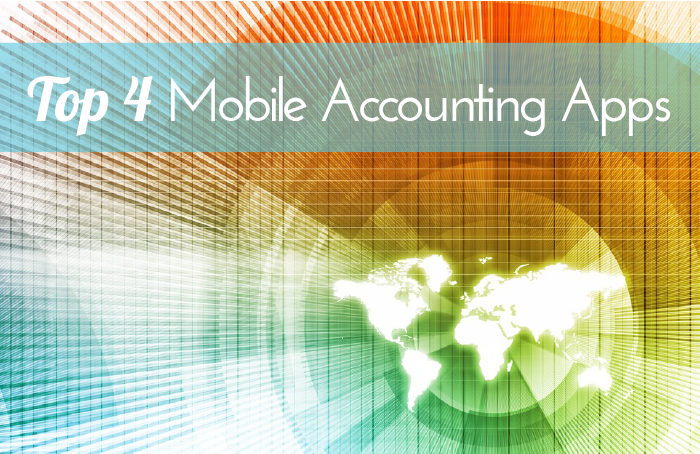 It's virtual accounting in your pocket. You can connect it to your QuickBooks, email account, bank accounts and more. Send and approve expense reports with receipt images anytime, anywhere. Organize receipts for tax purposes. Use your phone's GPS to accurately track and report mileage. Store business cards in a contact list that can be used for email marketing purposes as well. There are multiple levels of service, starting with a FREE package that includes minimal document scanning, digital submissions only, and only 1 user. They offer upgraded packages with monthly fees of $9.95, $29.95, $49.95, and $99.95. Each level allows more scanned documents and users. It depends on the size of your business and the amount of documents you intend to scan. Find out more about how outsourcing your accounting could help your business. 02. 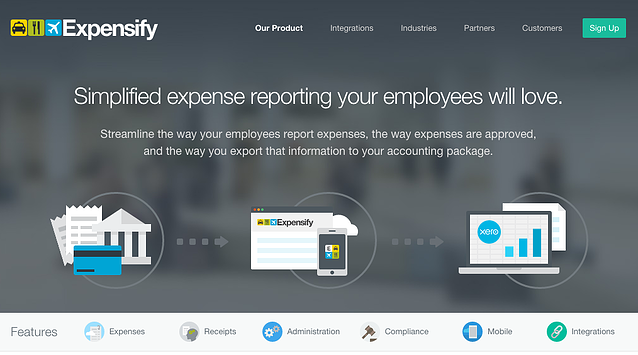 Expensify: "Simplified Expense Reporting Your Employees Will Love"
Expensify is an all-around great package. It really enables you to watch in real-time what expenses your employees are acquiring, and allows you to approve these things automatically so that everyone can continue working--no hang-ups waiting for approval. And, best of all, your books are easy to keep up when you can record everything as soon as it happens--no need to remember. Add cash expenses, auto import card transactions, reimburse employees, and capture mileage. Unlimited receipt uploads and storage. Process reports, administer & reconcile all card transactions. Manage compliance settings with company rules, automated and rule-based approval workflow. Integrate with any accounting, payroll, CRM or ERP solution. Starting at a base monthly fee of $5 will get you unlimited smart scans, basic expense approval, online reimbursement capabilities, and sync up with QuickBooks and Xero. The next step up will cost you $9 per month, and after that, it's a custom fit and price. 03. 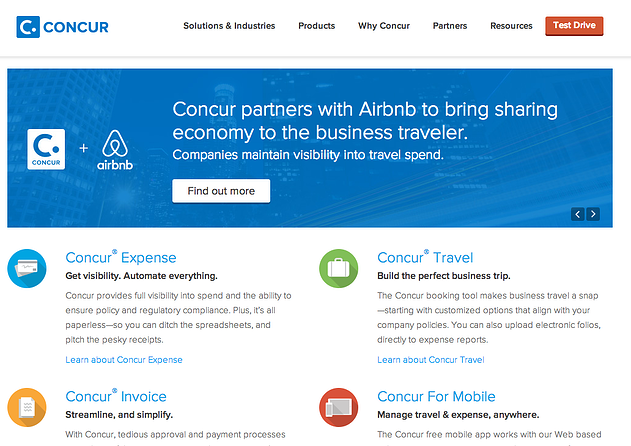 Concur : "Keep Your Business Moving"
Concur has many of the features of the top 2 on our list, but with some minor differences: their website isn't as transparent as the others, and their pricing is complicated to understand. However, it's still a really great application if you're willing to do a bit more digging. Books travel easily and tracks reports efficiently. Connects to POs, e-invoices, e-mailed invoices. You can create pre-defined reports. This is where it's not so transparent. Their base package starts at $8 per month. Packages with more features don't have set prices on their website, and the highest packages have setup fees. 04. OneReceipt : "Keep the Purchase, Lose the Receipt"
This is a wonderfully basic app that is great for personal finance as well. If you're simply concerned with managing and tracking your purchases, this is the simple and useful way to go. FREE app for your phone. It's definitely an affordable and great place to start. Once your business starts to grow, you'll probably want to look into one of the first three options here. Free is always a good place to start.